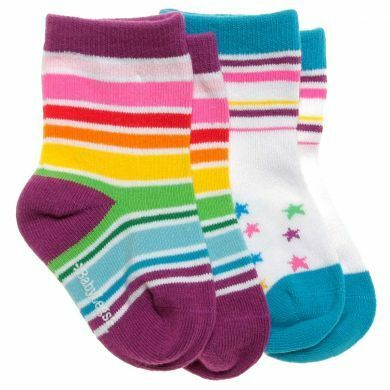 Your child will shine like a star in these fashionable "Star Bright" baby socks. Colourful stripes light up one pair like little northern lights and twinkling stars dance across the second pair accented with sky blue toes and cuffs! Delightful socks.